Buying a home was a really smart option until a property tax spike made my mortgage payment a bit steeper than I would like. My monthly budget for housing started to skyrocket and unfortunately, my paycheck didn’t move as fast to cover the increased cost of living. About a year ago, I became an Airbnb Host using my spare room to earn income and get my mortgage payment to a manageable level. Initially, the Airbnb income was a huge help to fund some improvements and repairs, but since we now have better insulation (paid for! ), blinds and curtains (paid for!) and guest linens (clearly also paid for!) 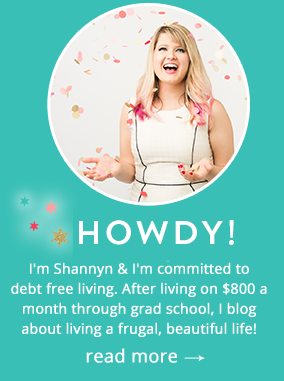 I was able to use the extra Airbnb income to supplement my mortgage costs and even pay extra towards my principle. Huzzah! When I started out, I had no idea if I could really earn income with Airbnb or if I would even like it. I even wondered if it would be feasible to host people in the home I lived in. I mean, I live here. Would it be a pain? I had a lot of questions when I started, but I started anyway! So, if you’re wondering how you can earn extra income to cut your mortgage payment in half, or at least give it a good slice- read on. Every city and even buildings might face different regulations. I own a single family home in San Antonio, and I do not live in a condo. If you are leasing your space, or have any sort of HOA where people can regulate what you do with your property- you’ll want to ensure becoming an Airbnb host would be a fit. I found that the websites for my city were not super helpful in helping me understand if I could be an Airbnb host. Some cities, like mine, are currently debating how to handle the “sharing economy” like Uber, Lyft and Airbnb. That being said, our local websites didn’t have a ton of information that I found helpful. What I would recommend if you’re considering being an Airbnb host, go ahead and see if there’s a Facebook group for your local area. For me, this has been hugely helpful to weed through the bureaucratic red tape and see what’s going on in your area. Overall, I’ve found that if the local municipal websites weren’t helpful in answering my questions, the Facebook groups were. People are kind to other hosts or those considering hosting. Next, Determine How Often You Want To Host- Part Time Or Full Time? Setting up your listing on Airbnb is stupid simple. It will take far less time then evaluating what you think you and your family can handle in your spare time to host. Becoming a host is very fast- but what should be given some more thought is how much of a commitment you want hosting to be, and your income goals. Would you be excited to be fully booked up 30 days of the month or do you think you’d rather just host your shared space when things aren’t crazy with work and projects? Airbnb lets you choose your own adventure. 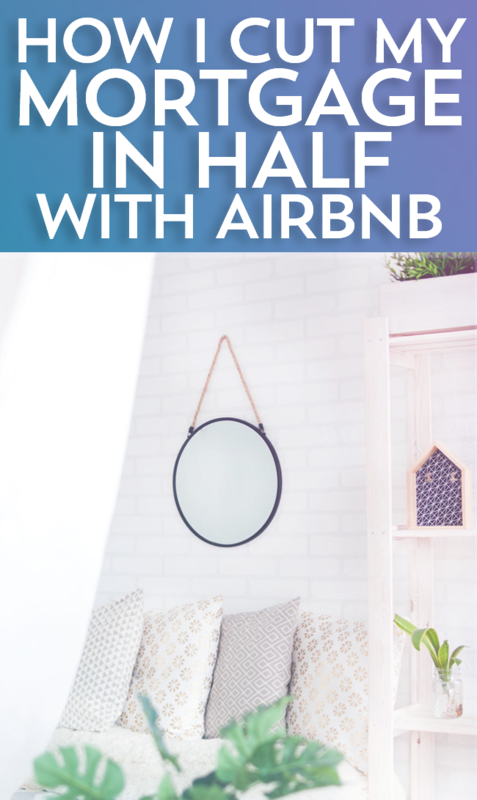 When you set up your Airbnb listing, you can choose to block out as many days as you’d like so they can’t be booked, and you also get to tweak your pricing if your dates aren’t filling up as quickly as you’d hope. You also can tailor how people book with you and you can decide if a guest’s needs don’t suit what you offer (for instance, if you have pets in your home and they share during the pre-book phase they are allergic to cats). Do Some Research On What To Charge- It Varies! Do some market research to see what other hosts are charging for a space similar to yours. What are people in your area offering and what do they charge? When you first start out, you may want to go a few dollars below their prices for a similar location to get bookings and work out any kinks- but you can easily start raising your prices after the first 10 stays that come with positive, five star reviews. When evaluating your price, know that Airbnb will usually suggest an outlandish price that’s far below what other hosts are charging for similar rooms. Usually, I charge anywhere from $30-35 a night (there’s a flex pricing option that sets a range that responds to demand.) 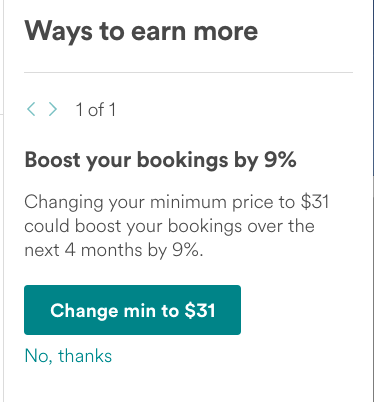 and Airbnb, despite my Super Host status always asks me to price lower to get more bookings- but since I’m usually 80% full or more, I don’t budge. Ummm, no. I’m booked up just fine! Set your prices in a realistic range (maybe $1-2 less than others if you’re new) to get some bookings and know you can raise your rates and adjust as you go. If you’re having a slow month, sure, lower your rates- but be mindful that you’re not crippling yourself or other hosts by driving down prices too aggressively. This seems to be a tricky question new Airbnb hosts get hung up on- how much space in your home should be made available to your guests? Long story short: you decide. In our home, we have put in the listing that the booking includes 1 bedroom, 1 private bathroom, kitchen access (usually to use the fridge/microwave) and the common living room area. The rest of our house is off limits. When we first started, I didn’t offer guests the opportunity to do laundry in our laundry area, but have since added the feature as it was requested regularly and Airbnb added it as a “perk” you can include. Knock on wood, I’ve never had a guest do anything bad with my washer/dryer and they’ve enjoyed having the option to use it. I think this is just one factor that has led to being as booked up as I’ve wanted to be this year. All in all though, you decide what’s off limits and if you’d be comfortable having a lock on your bedroom door, or to any other areas while you’re out for the day, that’s also your call. Your house, your rules! Honestly, you do not need to overthink being an Airbnb host. I honestly cannot believe how little it took to get started. Keep your room and common areas clean, communicate effectively with anyone interested, and add some finishing touches like travel sized shampoo or water bottles in their room. My first round of pictures was done with a cellphone and I simply included four photos- the room, the bathroom, the common area (living room/kitchen) and the front porch/entryway. Since then, I’ve used a better camera and done a bit more to gussy up my photos with better lighting, a fresh flower arrangement in the living room and some closeup shots of the furniture in the room- but beyond that, it’s simple. Offer Thoughtful, But Cheap Perks To Get More Bookings. A few perks you can consider offering that don’t have to cost you much but can get you more bookings: being kid friendly, pet friendly or offering a private parking space. I also had an extra blow dryer, so I added that to the guest bathroom. For each check-in, I add a little snack and a bottle of water in the room for every guest, along with a print out with my favorite local spots, checkout information and the wifi password. Think of what matters to you if you were to visit as a guest: Does the host answer questions quickly and communicate effectively? Does the room fit my needs and budget? Is it really clean? Does the host have a really good batch of reviews? Honestly- just be accommodating. This will do far more than having a picture perfect home or a rooftop pool. We’re still able to block off dates that suit our schedule to host family and friends or take a vacation while still earning over half the mortgage payment without being fully booked. 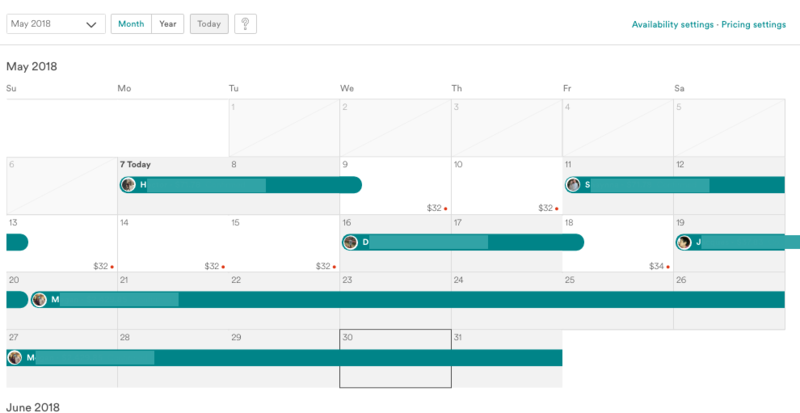 As you can see below, we blocked out May 1st-May 6th so we could use the room to host friends coming into town, and we’re not fully booked the rest of the month, but it shaped up nicely! For full transparency, this month likely is having a spill-over effect because the final booking for the month extends into June and payout will come in May, giving me a wee-bit of a bump. 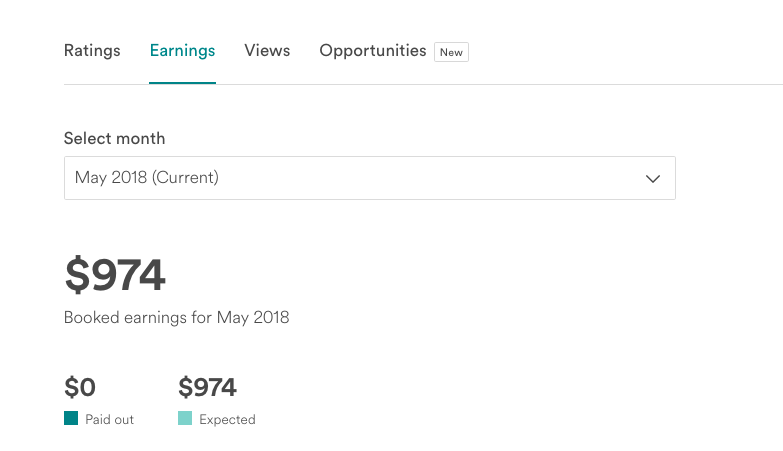 That being said, June went well- with $701 in earnings. Not bad for a spare room in a 1600 square foot home I wouldn’t have been using! Honestly, my mortgage payment was getting steep and my paycheck couldn’t keep up with the property tax spikes- being an Airbnb Host took the pressure off my monthly budget due to rising living expenses. If you are thinking of being a host even part time, I hope this guide will help you earn a bit of extra cash each month to put towards your mortgage, save for a rainy day or go somewhere fun! If you want to sign up to be an Airbnb Host using my link, I’d be super grateful! You can sign up to be an Airbnb Host and dip your toes in the water to see if it works for your home and lifestyle. It may be an easy way to side hustle as a host part time, and that extra $300+ a month can help you get ahead for vacations, debt payoff or Christmas gifts! Plus, you never know how many cool people you’ll meet. I’ve loved being an Airbnb host, it’s helped me be able to afford fixing up my house and have some wiggle room in my budget to boot.